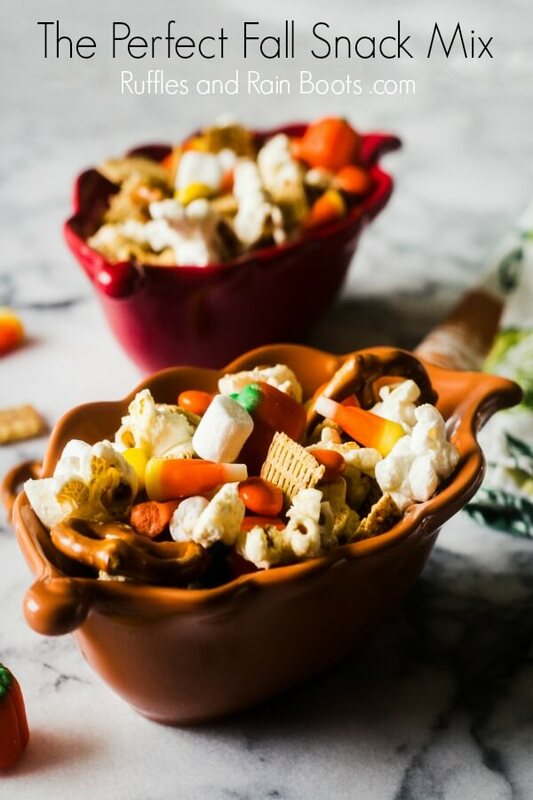 This fall snack mix is a crowd-pleasing mix for Autumn snacking. Loaded with salty and sweet goodness, see how easily it comes together. Pistachios. One of my Dad’s favorite snacks were the hard-to-open nuts. 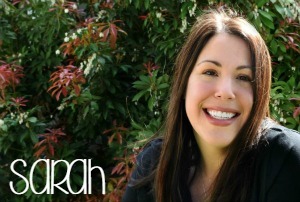 He liked pistachios in snack mixes or just as nature made them. I remember the feeling when my Dad let me try to break open pistachios on my own for the first time. As you can imagine, I failed miserably. My little fingers just couldn’t do the work. 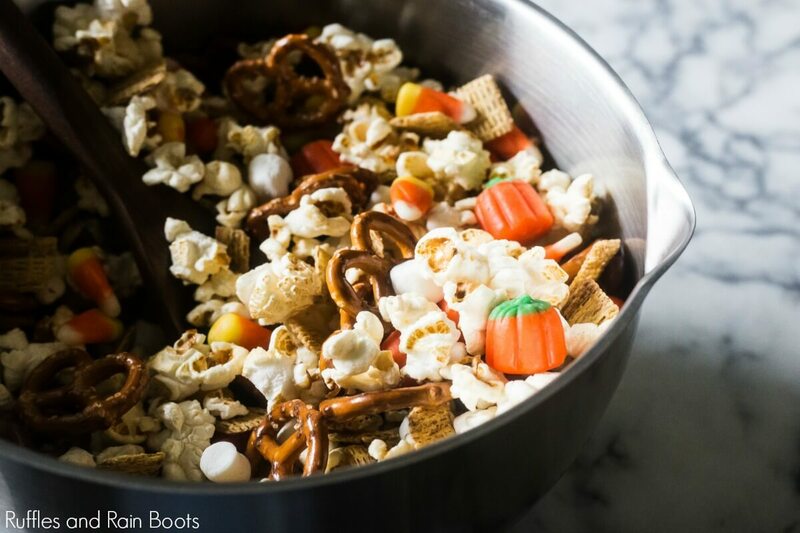 I don’t recommend doing that, friends, but I do recommend this yummy fall snack mix. It’s the perfect mix of salty and sweet. Just look at it – it’s also gorgeous on any table! 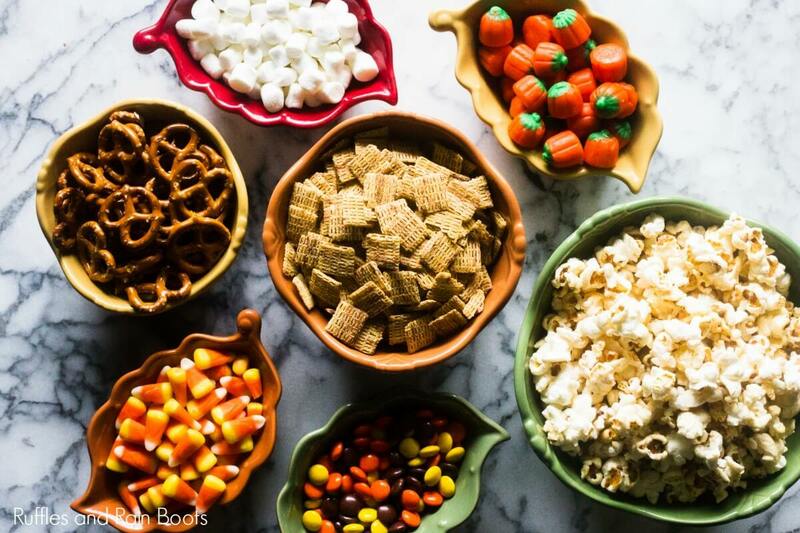 Just look at these tasty ingredients for our fun fall popcorn snack mix – they’re all crowd-pleasers. 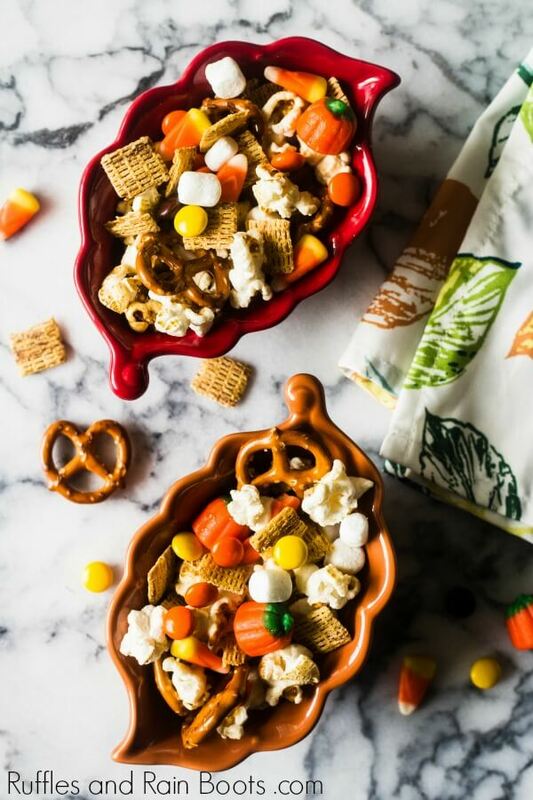 In a large bowl, combine all ingredients in the order listed above through the mini marshmallows. This perfect little combo of sweet and salty can be stored in an airtight container on the counter for 3-5 days. But honestly, it won’t last that long! 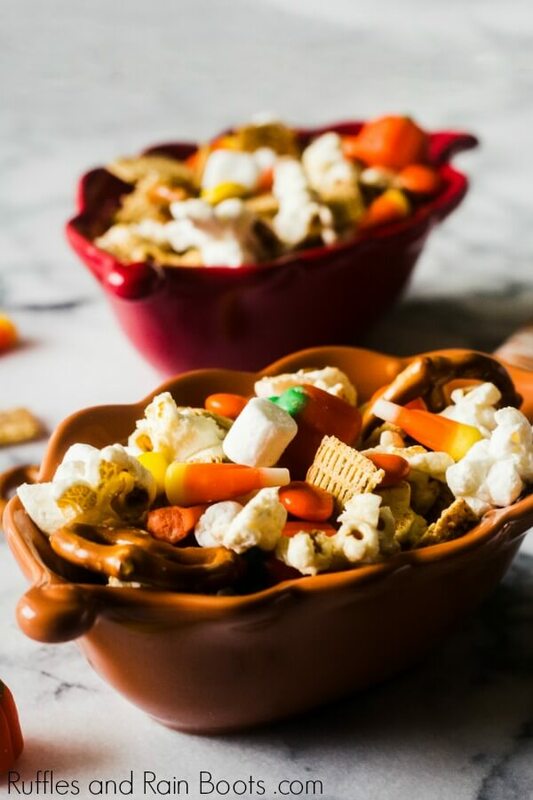 What are the snack mixes you remember when growing up as a kid? Are you a sweet snacker, a savory snacker, or a mix of both?